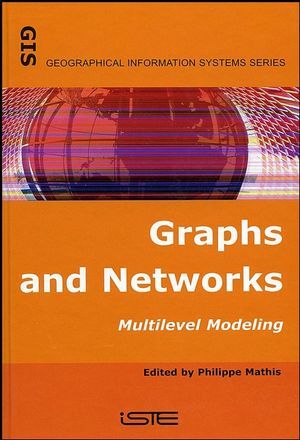 This book concerns the use of graphs for the simulation and representation of transport networks. Its aim is to cover networks in both spatial analysis and urban management, together with the simulation by graph theory, a tool that makes it possible to solve various classic problems such as high-speed roads between one or more origins and destinations, the capacity of a network, etc. It will also be possible to apply these results to other applications such as personal networks and communications networks, making this book a useful reference tool for those involved in this area. Philippe Mathis, EPHE, teaches at the University of Tours, France. He is also Director of the CESA where he has created and headed a research laboratory. He has been commissioned for numerous studies in the planning field at local and regional levels as well as by the French Ministry of Equipment. Part 1. Graph Theory and Network Modeling. Chapter 1. The Space-time Variability of Road Base Accessibility: Application to London (Manuel Appert, Laurent Chapelon). Chapter 2. Journey Simluation of a Movement on a Double Scale (Fabrice Decoupigny). Chapter 3. Determination of Optimal Paths in a Time Delay Graph (Hervé Baptiste). Chapter 4. Modeling the Evolution of a Transport System and its Impacts on a French Urban System (Hervé Baptiste). Part 2. Graph Theory and Network Representation. Chapter 5. Dynamic Simulation of the Urban Reorganization of the City of Tours (Philippe Mathis). Chapter 6. From Social Networks to the Sociograph for the Analysis of the Actors' Games (Sébastien Larribe). Chapter 7. RESCOM: Towards Multiagent Modeling of Urban Communication Spaces (Ossama Khaddour). Chapter 8. Traffic Lanes and Emissions of Pollutants (Christophe Decoupigny). Part 3. Towards a Multilevel Graph Theory. Chapter 9. Graph Theory and Representation of Distances: Chronomaps and other Representations (Alain L'Hostis). Chapter 10. Evaluation of Covisibility of Planning and Housing Projects (Kamal Serrhini). Chapter 11. Dynamics and von Thünen’s Model: Duality and Multiple Levels (Philippe Mathis). Chapter 12. The Representation of Graphs: A Specific Domain of Graph Theory (Philippe Mathis). Chapter 13. Practical Examples (Philippe Mathis).